Make an Online Booking to get started! This Easter, once again our team at North Sydney Sports and Chiropractic were providing treatment to the players of the North Shore Open, a NSTA hosted tennis tournament. This is the 7th year we have been associated with the tournament, and like other years, there were plenty of sore bodies to work on! The tournament attracts some of Australia’s top players as well as some internationals. The number 1 seeded man and woman were Australia’s 22nd ranked male, Dane Kelly from Victoria and the WTA 358th ranked female Abigail Tere-Apisah, who both had to fight off some tough competition to take out the Championships this year. As mentioned, this is our 7th year working this tournament, and I personally have been working on tennis players from all levels and ages for over a decade. One of the most alarming observations that I see is the number of serious injuries that are occurring in young tennis players. When I say serious injury, I’m talking about stress fractures, tendon injuries, low back pain and when I say young, I’m not talking about 20 year olds, I’m talking about 13 and 14 year olds! Unfortunately this is not just my observation. The United States Tennis Association has identified that overuse injury and burnout is one of the major reasons non-participation in the sport. I believe there are several reasons. Here are my thoughts. The early specialization and professionalisation of the sport. Tennis is an early initialisation sport but a late specialisation sport. Meaning players start playing at a young age, but should specialize in it once physical maturity has been developed. Unfortunately this is not the trend that we are seeing. Due to the investment of stakeholders in the sport, and the incentives for competitive success we are seeing that kids are specialising in tennis earlier than ever. This is happening in all sports, not just tennis. But in tennis, there appears to be so many options for school aged kids now more than ever. Tennis academies, full time players, schooling via correspondence, college scholarships and sponsorships. These are just some of the few options that are within reach of most players in this day and age. It also means that more players are taking tennis much more seriously, perhaps starting and focusing on competitive tennis at a much earlier age than before. I’m sure you have heard of ‘the 10,000 hour rule’ which hypothesizes that after 10,000 hours of deliberate practice, you will master your chosen skill. So if we apply this rule to tennis; if I practice or play 5 hours a day, 5 days of the week, for 50 weeks a year, that equals 1250 hours a year. That would take me 8 years to master the craft of tennis. So if the average player starts at 10 years old, then by 18, they will have mastered the game of tennis. However, the recent trend in the ATP and WTA show us that that 10,000 hour rule maybe more like the 20,000 hour rule. In 2015 the ATP released some new statistics that showed the average age of the top 100 WTA/ATP player was 28 years old. (Most people suggest the top 100 is the benchmark for success as a player as it pretty much guarantees automatic entry to the Grand Slam events, which means you are guaranteed a meal ticket at four events a year!) This year’s Australian Open hosted a whole bunch of mature aged (30+ year olds) players reaching the 2nd week. Not to mention Roger Federer’s recent run of success at almost 36 years old. If he keeps going, he’ll give our very own Ken Rosewell a run for his money! So the trend in tennis is that older players are having more success, however if we are starting competitive tennis from a younger age, there is a longer period of time that an individual has to stay healthy, stay competitive, stay motivated, stay financially viable and endure lack of success at high level tournaments. The asymmetrical, physical and repetitive nature of the sport. No doubt tennis breeds asymmetries and imbalanced bodies. Just look at any player’s dominant arm to see evidence of this, Rafael Nadal most notably. Tennis is a also a highly physical sport. It engages all muscles of the body. It pushes you to the extreme ranges of movement. You can be on court for hours at a time maintaining the same level of intensity that you did in the first game of the match. Power, speed, strength, endurance, flexibility, concentration and much more are pushed to the limits during tournament play. There are not too many sports that can replicate this. Add the repetitive nature of sport and here is a good way to break down healthy bodies. The definition of an overuse injury is any injury to your body’s tissue that is a result of repetitive stress without allowing appropriate time to heal. If you have ever attended any tennis tournament recently, they are the perfect way of creating overuse injuries. Multiple matches a day, inappropriate scheduling of matches, not enough courts. These are just a few reasons why players just can’t perform at their optimal level. Now add immature, undeveloped bodies into the mix and it is a recipe for a potentially a career changing problem. Lack of awareness and knowledge on Injury Prevention. Injury prevention research is a relatively new part of sports science and it seems right now most of the focus is going into finding new and faster recovery techniques. That is, finding ways of speeding up a player’s recovery time so that they can perform at their best sooner and more often. Most sports organisations now use GPS tracking to monitor the workload of players, so when they have been training or performing at higher than normal levels, they can predict and stop injuries from occuring simply by monitoring fatigue and workload. Although this is where the money is being spent by larger sporting clubs like FC Barcelona or Real Madrid, this is not quite the convention yet at lower levels of sports. Players, coaches and parents need to be informed and educated on these matters. Having the right support team (coach, trainer, physical therapist, medical doctor, psychologist, dietician, friends and family) around players to ensure they are getting the right advice. Everyone involved in the support team need to be working on common goals of the player, to stay healthy, to develop the athlete and perform at optimal levels at all times. Working at these low level tournaments, it is quite evident that this is not what is happening. Without pointing fingers or shifting blame, there is so much information for a tennis player/parent to know, it is impossible for young athletes and parents to stay current on the latest science and medicine of tennis. At tournaments, I’m always getting asked questions such as ‘What do I eat during the match? What stretches or exercises do I do? What do I do before and after each match?’. This should be common knowledge for tennis players, hence why having the right support team around is key. With all that being said, what now? We believe the first and important step in Injury Prevention is a screening. A screening is an objective assessment that simply flags normal or abnormal findings. Anything that is abnormal is followed up and examined closely, with the intention to correct it. Like a routine blood test with your GP. With our years of experience working with tennis players, we have developed a procedure that screens tennis specific movements. We call it the Tennis Movement Screen (TMS). The TMS is made up of 11 movement based tests, which are supported by the latest clinical research and used as a reliable predictor to injury. We have worked closely with our friends at the United States Tennis Association (USTA) to put together the TMS. We have screened a number of juniors from the age of 10-18 years of age, with surprising results. Once you see abnormal findings (often not painful) only then can you put in the measures (physical therapy, exercises etc) to address these often hidden issues. Unfortunately, unless you look you will never find. If you would like to hear more info on the TMS, please contact us at info@sportsandchiro.com.au. Andrew has a Masters in Chiropractic and his interest in Sports and Injury PRevention has led him to treat many athletes from junior to elite levels in many sports including tennis, golf, athletics, cycling, pole dancing, body building, power lifting and Brazilian Jiu Jitsu and MMA. In 2009, Andrew was invited to work with a group of ATP Top 50 tennis players at the Australian Open. Other sporting events include World Masters Games, Oxfam Trailwalker, Port Macquarie Ironman, North Shore Open Tennis Tournament and Manly Seaside Tennis Tournament. He provides corrective exercise rehabilitation as well as injury management and biomechanical correction as part of the performance based chiropractic care. Andrew has undergone training in optimizing running biomechanics with video analysis, with the specific aim at reducing and preventing injuries. Recently, Andrew has completed his certification from the International Tennis Performance Association as a Certified Tennis Performance Specialist (CTPS). This certification allows him to work closely with competitive tennis players from junior to ATP/WTA Level (and everything in between), with the confidence that they are in good hands. Andrew has lectured and tutored Human Anatomy at Macquarie University. Part of his role at the university involved dissecting and preparing specimens for study. The specialisation in this area allows a greater understanding of the human body and so leads to a better understanding of his patient’s problem and how to manage them. Previously, Andrew has been a Clinic Supervisor at Macquarie University Student Clinic where he was involved in the training of future Chiropractors. In his spare time, Andrew loves to watch all sports particularly tennis, soccer and rugby league. Andrew is a competitive tennis player who still loves to get out on the court for a regular bash, when his 2 beautiful kids allow him to. - Wide range of services that suit your needs. 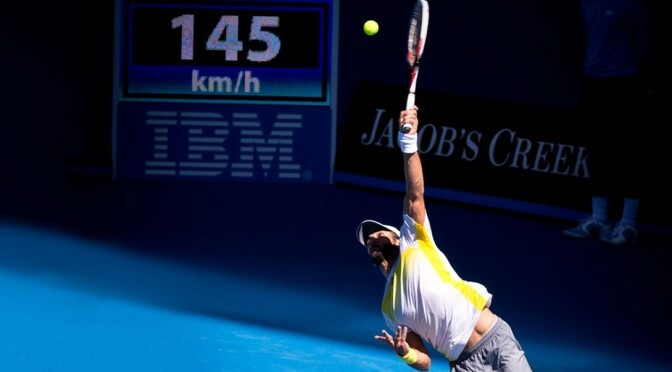 North Sydney Sports and Chiropractic was founded by Andrew Lim, a Sydney based Sports Chiropractor, whose love for all sports, particularly tennis, led him establish a "Chiropractic Clinic with a difference". COPYRIGHT © 2014 NORTH SYDNEY SPORTS AND CHIROPRACTIC. ALL RIGHTS RESERVED.